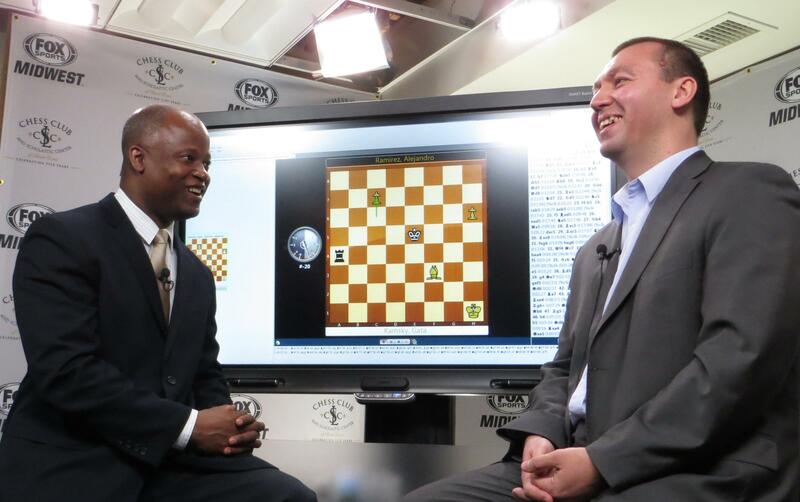 Maurice Ashley (left) interviews Gata Kamsky at the 2013 US Championship. Maurice Ashley is sleeping just fine these days. The International Grandmaster is about to put a million dollars down in Las Vegas -- and he might have the best odds in the house. Ashley recently confirmed the Millionaire Chess Open, upping the ante on global, open-to-anyone tournaments by boasting a lofty $1 million guaranteed prize fund -- the largest in chess history. Officially announced last December, the largest prize ever seen by the community was also met with the largest entry fee ever seen -- $1,000 to command 16 pieces -- and the MCO organizers reserved March 31 as a potential bail-out date. But that day came and went, and Ashley soon after confirmed that the event would be at the Planet Hollywood Resort and Casino in Las Vegas over Columbus Day weekend, Oct. 9-13 this fall. The update, undoubtedly, sent an immediate buzz through the chess vines, further fueled by last week’s promotional backing of the event by the United States Chess Federation. The Millionaire Chess Open is offering a $100,000 top prize to the winner of its Open section -- and even free limos to the first 20 GMs who commit to fight for it. Several players slated to appear in the 2014 U.S. Championships next month in the Central West End -- including Alejandro Ramirez, Sam Shankland and Alisa Melekhina -- have already confirmed their Vegas limo rides. But the Millionaire is not as reliant on the game’s superstars as many other open tournaments, this one promising a full amateur experience that looks to take advantage of Vegas’ ability to pamper. The event offers luxurious accommodations, stuffed swag bags for players, red carpet walks and even waitresses who (quietly) circulate the tournament hall. The draw, of course, is the unprecedented prize fund that continues all the way down the rating scale: A $40,000 first-place prize and pay out to the top 50 finishers has been promised to four amateur class sections, from Expert down to Class B, per the USCF rating system. The Class C section (U1400) also pays out the top 50, based on a $24,000 top prize, and the rewards go all the way down to a U1000 section. In a shocking twist, some kids are going to walk out of Las Vegas with a couple thousand dollars in their pockets. Ashley, the first and only African-American grandmaster, is a highly recognizable face in chess -- perhaps even more so in his post-competitive career. Viewers of the U.S. Championships stay steady with commentators Yasser Seirawan and Jennifer Shahade, but they eagerly await Ashley’s flavor. Interrupting his counterparts with as-they-happen, tactical dramas, Ashley has always served well in bringing shock and awe to the game. He is the personification of chess hype. And he has done this before. Ashley was the frontman back in 2005 for the HB Global Chess Challenge -- offering $500,000 as the first largest prize fund in chess history. At face value, the event went off without a hitch: More than 1,600 players showed up in Minneapolis, Minn.; competition was fierce; and all the winners were paid as promised -- though rumors of a disappointed sponsor-in-the-red might have been confirmed when hopes of a second event were immediately squashed. 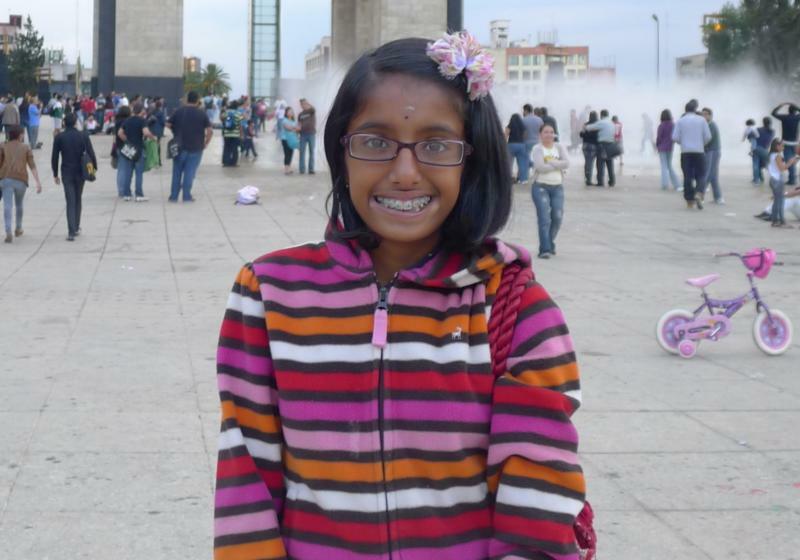 In truth, Ashley, as the hype, walked away from the HB Global Chess Challenge believing it to be a “magnificent success” -- and the fact that chess players worldwide still refer to the event by name, a decade later, certainly backs his line of thought. But that’s not to say Millionaire Chess hasn’t been built on improvements. The location has been upgraded appropriately, and finally a prize fund of a cool million just gives everything an extra shine ($500k was so bo-ring). Now armed by a social media revolution that hadn’t yet begun a decade ago, Ashley also comes backed by entrepreneur-turned-chess-mom Amy Lee, who seems equally as passionate about impacting the game of chess as her counterpart. Even as the two of them rev up anticipation for their Vegas trip, they already talk eagerly about second and third Millionaire events, potentially moving into the European chess market. The Millionaire may be a risk, though it’s far from a gamble. This is an investment -- in chess -- and it’s one with which St. Louis should be familiar. The Chess Club and Scholastic Center’s benefactor Rex Sinquefield made an investment in chess when he opened the doors in 2008, and since then the non-profit has worked tirelessly to increase the profile and prominence of chess in the U.S. In May, the Club will host the national championships for the sixth consecutive year, totaling more than $1.4M given away to the game’s elite in that span. More money into the chess scene means more opportunities for chess professionals to emerge - and more of a reason for amateurs to stay captivated. Ashley, Lee and the Millionaire are the embodiment of the initiative here in St. Louis: An investment into this rising tide of chess players, for a chance to ride this niche on a mainstream wave 1,500 years in the making. It’s coming. Ashley is guaranteeing it, with a million dollars in October. In chess, you make your own luck. Apparently, the U.S. “Women’s” Chess Championship is a description that gets more liberal by the year.